Calling all Bow Valley Locals! 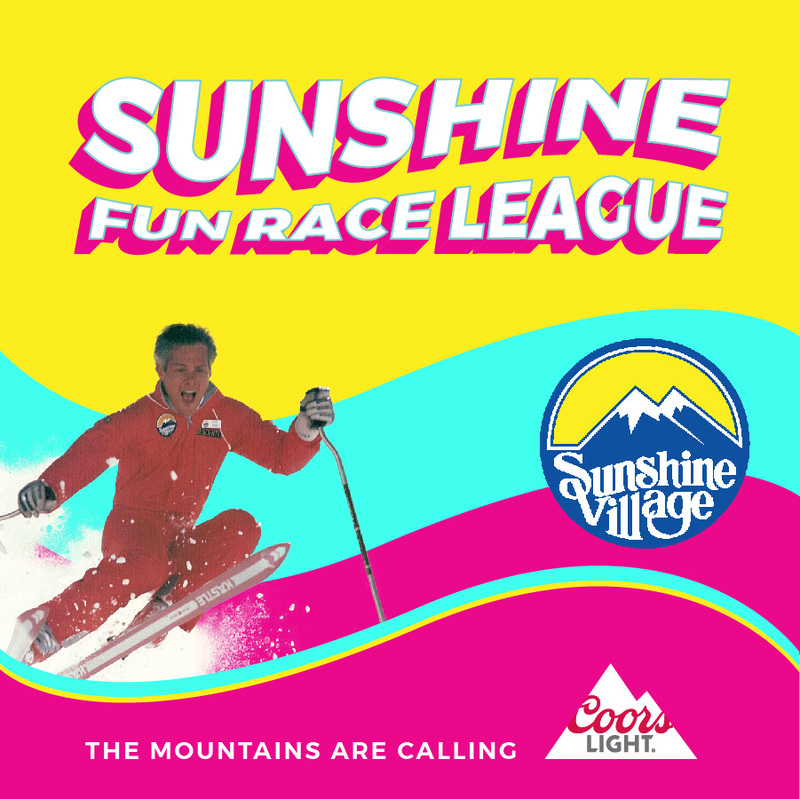 Join us at Banff Sunshine Village every Wednesday Funday from Wednesday April 17th to May 15th for the Sunshine Race League. Prove that you and your co-workers are the best in the valley. Each team of 4 will race on Wednesdays down the Dual Slalom on Snowsnake off Strawberry Chair for the Grand Prize of $1,000 CASH, Reserved spots for the whole winning team in the 2019 SSV Slush Cup and Access to the Coors Light VIP area during Slush Cup on May 20th. Each team must have at least 1 Male, 1 Female, 1 Skier and 1 Snowboarder. Each team member will take 2 runs each day and the top 6 times will create your collective score. After racing, you can boast or gloat at the Coors Light Après Party at Creekside Bar & Grill with Happy Hour Specials. - Access to the Coors Light VIP area during Slush Cup on May 20th. This is a prize for team with the best costumes on the “Costume Race Day”. The “Costume Race Day” theme will be determined on April 24th,2019. Weekly prizes, plus tons of other great prizes for Podium Finishers in each category (Male Ski, Male Snowboard, Female Ski, Female Snowboard). Everyone will receive souvenir Race Bib, T-Shirt, and Hat. · 5:30 PM - Last Gondola to the Village. Each Team of 4 must have 1 Male, 1 Female, 1 Skier and 1 Snowboarder. Each Team must race at least 3 out of the 5 weeks. Each team must pay $60 to register. Each team may purchase a fifth alternate racer for $20. Each racer must purchase their own lift ticket or season pass to access the race. Racers will have 2 runs each Wednesday. Must be 18 years old or older to participate.